Apple CEO Tim Cook anchored a two-hour and 17-minute keynote on an ultra-wide stage in San Jose, CA that discussed new features in the company's iOS, watchOS, tvOS and macOS operating systems. This event is largely aimed at software developers, but the public (of course) takes great interest. Since Smarter Home Life generally covers the smart home and related topics, we'll skip past most all of the other pieces of this year's WWDC that don't really apply. Apple remains focused on customer security and privacy, and this is where HomeKit tends to surpass other smart home systems. With all customer data and activity staying securely on their devices, HomeKit users don't have to worry about others possibly snooping on their home's devices and their daily routine. 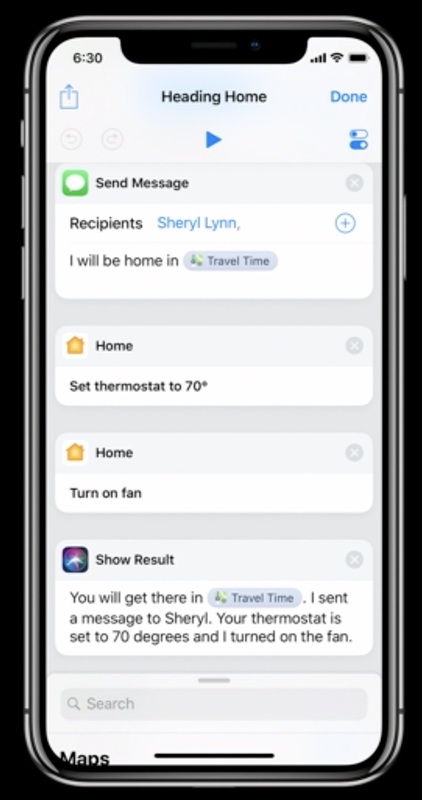 Out of all of the new features and "shiny things" discussed during the keynote, Siri Shortcuts definitely held my attention. They are basically an answer to Amazon Alexa and Google Assistant "Routines", without explicitly saying so. Siri Shortcuts let you create sets of actions that come from many different apps, including actions that control your HomeKit devices and scenes. Developers will need to add "hooks" into their apps to let Siri know which actions can be added from their apps, so all apps may not have this ability. But I feel it will be a popular feature. You could, perhaps, create a good morning Shortcut that not only turns your lights on and opens the blinds, but also starts a playlist on your iPhone or AirPlay speaker, gets the traffic information for your commute and automatically orders your usual caffeinated beverage at Starbucks. All by just saying "good morning!" Apple's implementation is more flexible than Amazon and Google's current solutions, but as usual, they are all dependent on developers (and smart home vendors) to add functionality to their apps. Apple's implementation, in fact, is so flexible that it could possibly open up non-HomeKit systems like Nest via their iOS app to Siri control and automation. This is probably wishful thinking, but you never know! Also, if Siri Shortcuts seems terribly familiar to you, you're probably a user of Apple's Workflow app that it acquired a while back. Workflow can automate many iOS tasks, but I think it will still have its place alongside Siri Shortcuts. Workflow is great for more "active" tasks and Siri Shortcuts seems tailored for more "background" tasks. MacStories wrote about it in early 2017 and seemed to conclude that Apple would be working on some sort of "voice addition" to Workflow, or something entirely new. Seems as if they were right. Across Apple's other operating systems, HomeKit just gets minor mentions. Siri Shortcuts will also make an appearance on the updated Siri Apple Watch Face, showing up "just when Siri thinks you need them." Apple TV will gain remote control from remotes and touch panels from high-end smart home vendors such as Control4, Crestron and Savant. And finally, as part of Apple's multi-year initiative to bring iOS apps to the Mac, the Home app from iOS will officially land on the new macOS Mojave. Beta software editions of iOS, watchOS, tvOS and macOS are now available to download, but please don't put them on devices that you rely on...because, beta software. 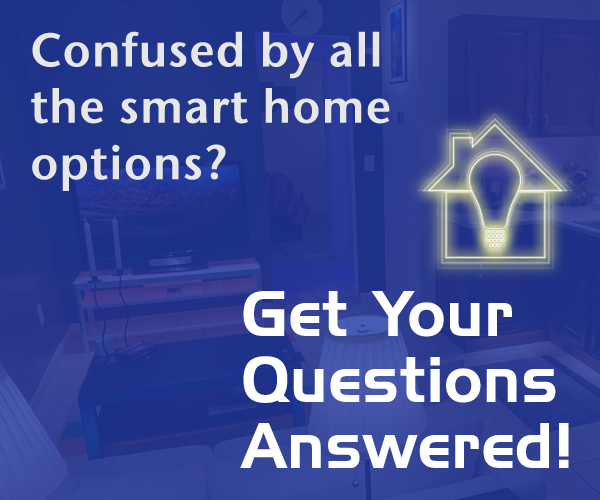 We received no other news about HomeKit or smart home features. Even the schedule for WWDC has no "HomeKit Sessions" this year, just "Labs" for developers to test things and get answers to their questions from Apple engineers. It's clear that, after many bugs and complaints about iOS 11, Apple wants to ensure things are truly working perfectly before going on a blitzkrieg of new features. Oh, and no HomePod mini announcement, either. HomeKit still needs more powerful automations that please the power users, but are simple enough to create for the uninitiated. Apple needs to revamp their Home app to balance simplicity, discoverability and flexibility. And Siri needs to up its intelligence by a factor of ten. Users really don't have the time to fiddle with their smart home gadgets and automations, they just want their home to be "cool" and "smart". Siri will have to start monitoring user behavior and actually creating automations and schedules, similar to Vivint's Sky system. Apple customers trust the company with their data's security and privacy, so they might be the first to gain truly effortless home automation. Only time will tell.